The Camry has a well-earned reputation of doing its job without flash or style. 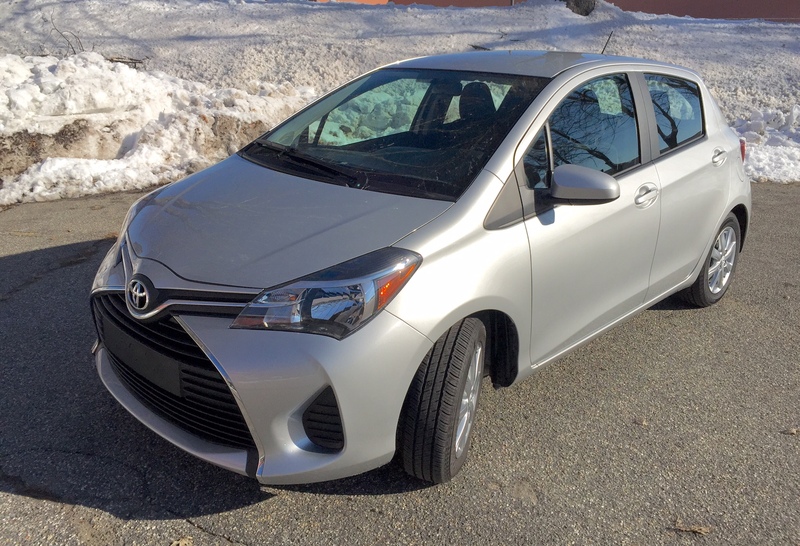 Toyota aims to change that for 2015 by infusing more tailored styling and finer road manners, and the tested XSE is Exhibit A for those efforts. 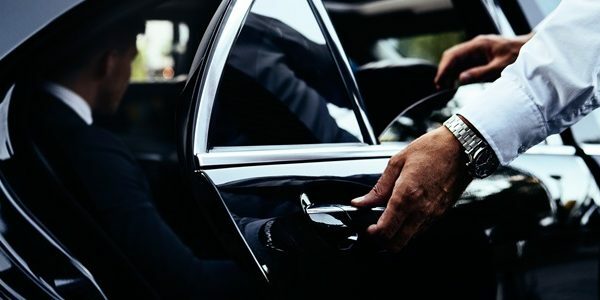 You must stay current if you want to remain a top seller, and so the Camry has to be at least close to the leading edge in tech and functionality. Up until now, compelling styling and road manners have taken a backseat to appealing to the widest possible array of buyers. Now that the Camry’s market segment is full of strong offerings, from the Ford Fusion to the Hyundai Sonata and VW Passat and so many others, it behooves Toyota to make the Camry sparkle in some specific ways. That’s the idea behind the revisions for 2015, which use the same basic car as the 2014 but employs some interesting updates. 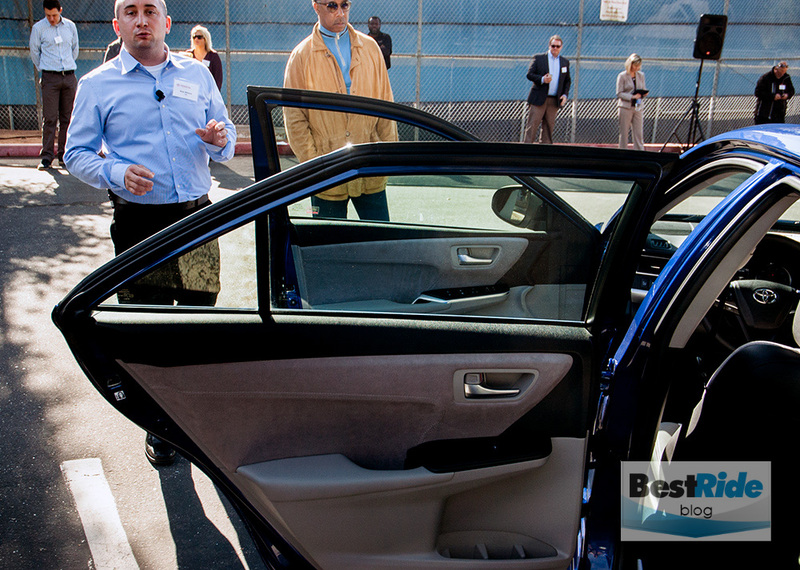 The result is that it’s possible to walk away from this Camry XSE and actually feel something. I’ve been testing Camrys for fifteen years, and most were resolutely mute. This more engaging XSE is a nice surprise indeed. First the prices, which start a bit higher than the just-over-$21K entry tickets of the Sonata and Passat: Camrys start at $22,970 for a base LE. 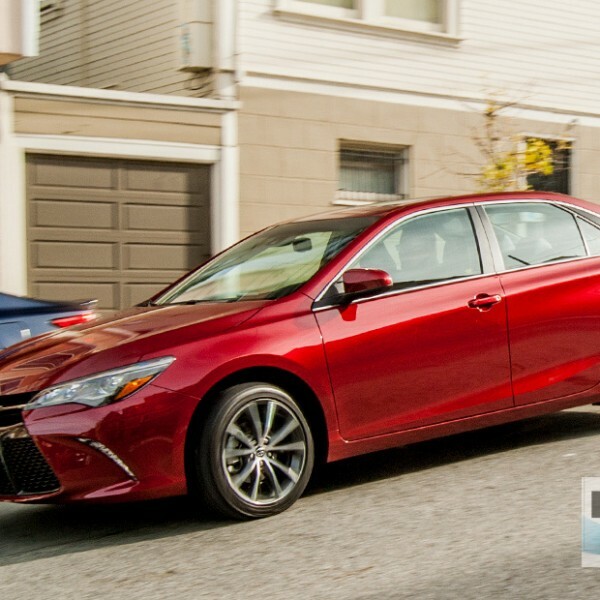 Toyota says the birth of the XSE trim for 2015 reflects buyers’ taste for a sporty Camry, evidenced by a surprising 45% take rate on the $24,665 SE trim. XSE takes the businesslike SE a step further with its $26,975 price, adding 18″ alloy wheels (SE’s have 17s) and a more aggressive suspension. If the SE is Step 1 in sport tuning above the other Camrys, the XSE is Step 2. Cosmetically, the XSE does look more serious. Toyota calls these dark-accented SE/XSE headlights “sinister.” Also note the multiple hood contours, which provide the extra detailing previous Camrys did without. The XSE’s price is the same as the previous top-line XLE model, which goes for a leather-lined luxury feel, so the top Camry can now be had in two distinct flavors. Also note that the Hybrid can be spiced up with some of the SE’s trimmings. 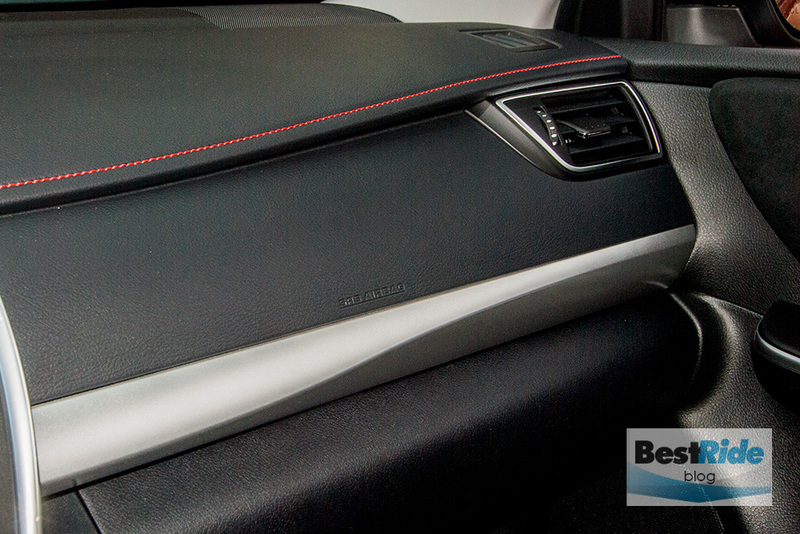 To accent the XSE’s more tailored look further, the test car added “Illuminated Door Sill Enhancements” for $299. They looked cool but were jarring at first; it was kind of like having “Kenmore” or “KitchenAid” in lights, but it normalized over time. The Camry LE is available only with the base 2.5-liter, 178-horsepower four-cylinder engine. while all other trims except the Hybrid can have a V6. Toyota persists in offering a V6 when others like Chevy and Hyundai have eliminated theirs, and here it’s the familiar 3.5-liter V6 with 268 horsepower, 90 more than the four. 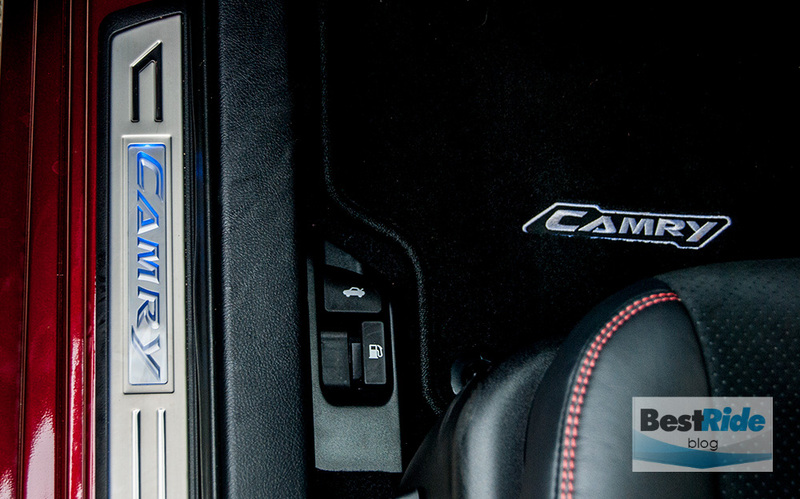 Besides the gutsy acceleration and passing, there’s a willingness to rev that gives the Camry a feeling of might. The cost is a 3-mpg reduction in the overall EPA rating. Premium fuel is NOT required. 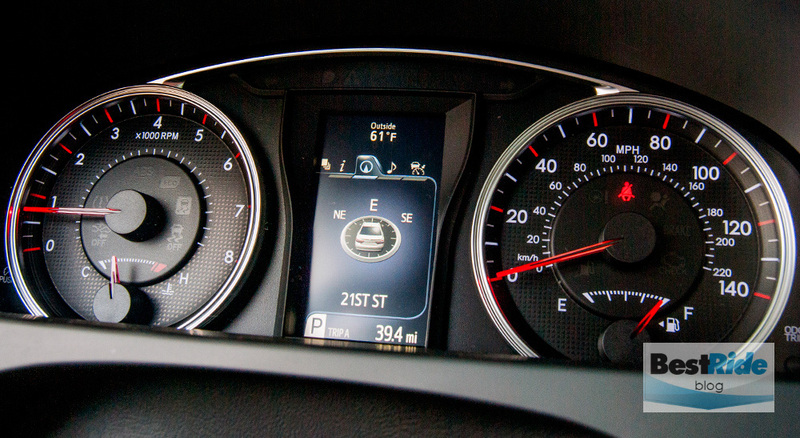 The SE/XSE have steering-wheel paddle shifters for the six-speed automatic transmission. Unlike some competitors with eight- or nine-speed automatics, Toyota is sticking with six. It works fine, with quick downshifts, and Toyota says they are quicker than in the SE and XSE. 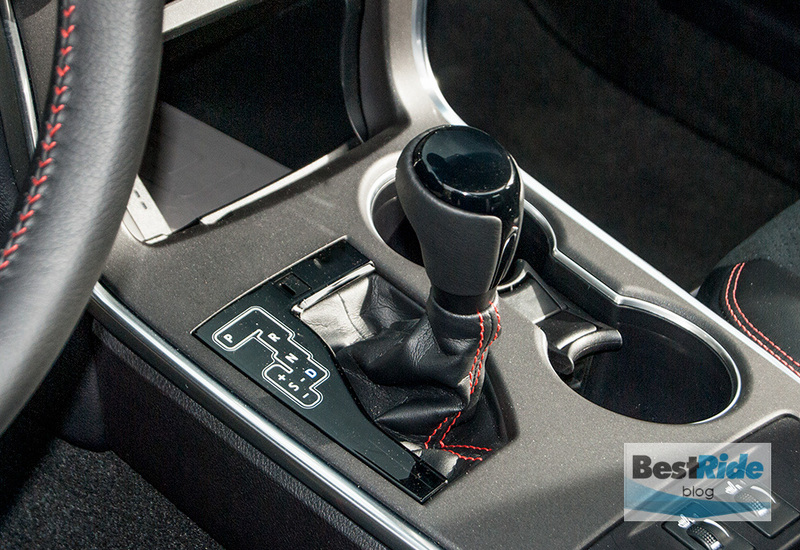 The shifter itself is very similar to the one in the Corolla and slides through the gates with deliciously supple clicks. Nice to have something you use every day to be so agreeable. Handling was one of the XSE’s notable improvements, and the good feelings come directly from a beefed-up front structure. 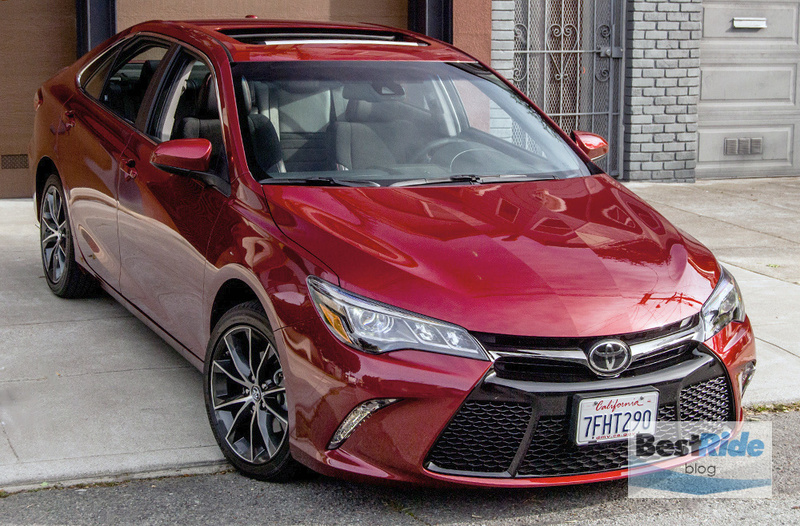 At the Camry’s Northern California media reveal, much was made of the additional spot welds in the door opening flanges, as the extra rigidity they gave allowed for more creative suspension tuning. 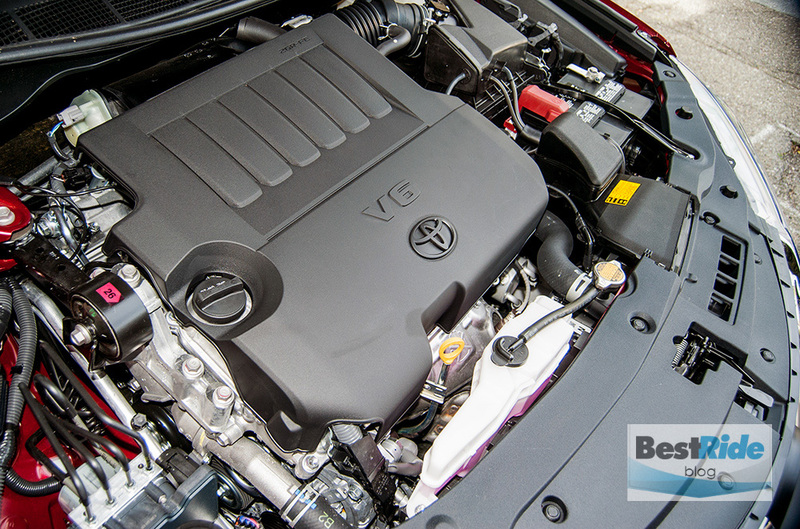 Lo and behold, it’s a change you can feel: where previous Camry V6s felt like a strong engine was attached to a frame with somewhat less strength, the tested XSE felt buttoned-up and solid. 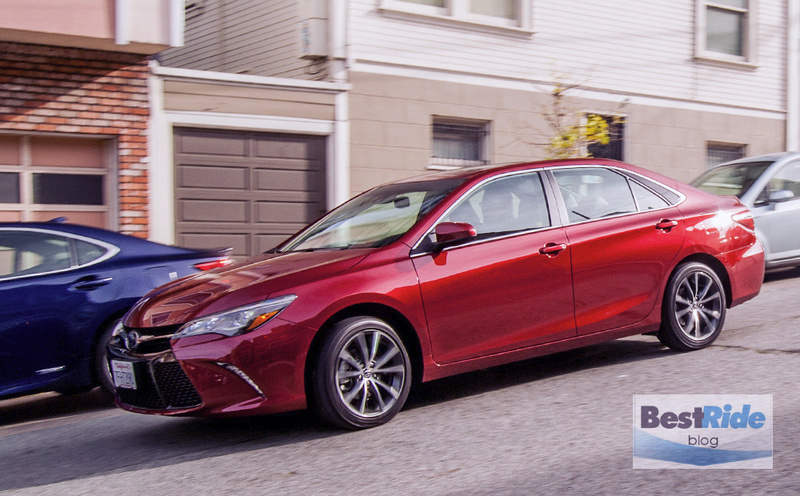 There was no wiggle following a turn of the wheel; this new Camry felt ready to take just about any plunge, and it gave it an air of adventurousness that previous Camrys did not possess. A firmer brake pedal would complete the circle. 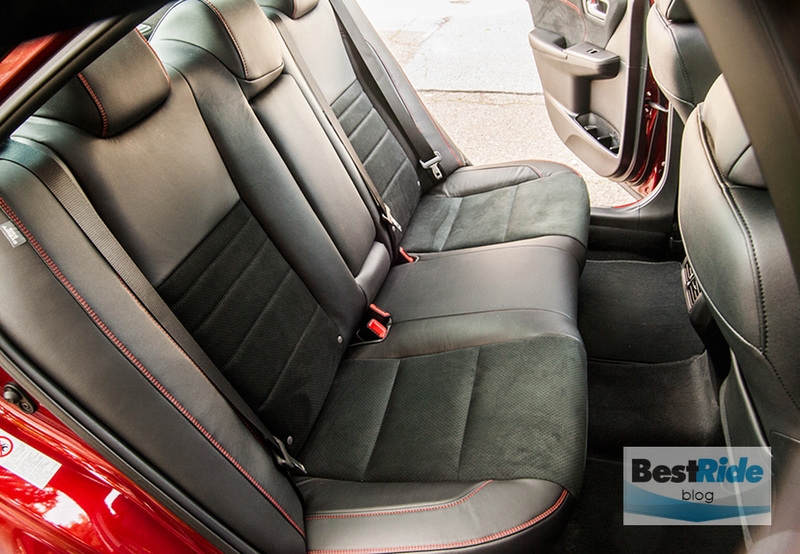 Inside, the XSE’s grippy Ultrasuede upholstery is sporty and tasteful. 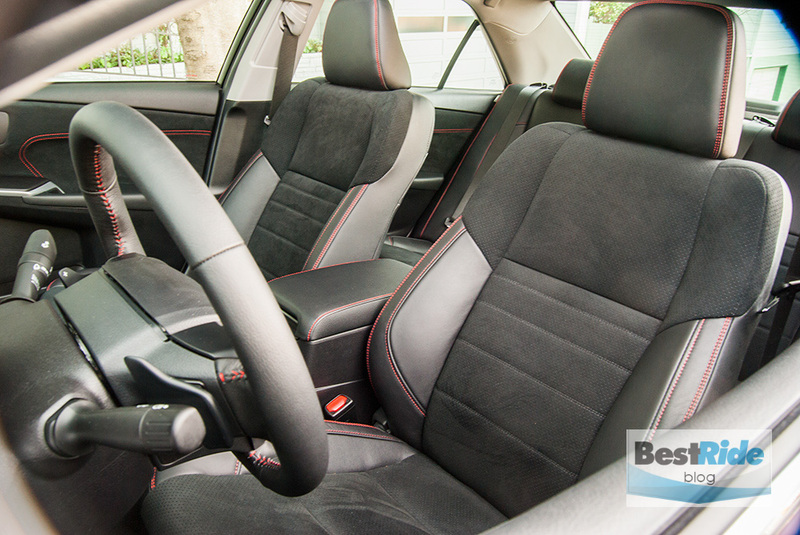 Nearly 39 inches of legroom puts the Camry in the top tier of mid-sized rear roominess. …to the rest of the instrument panel. 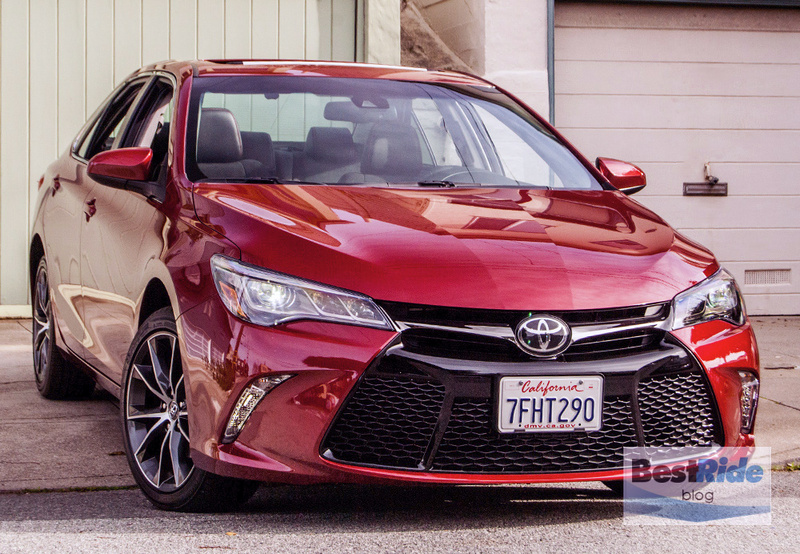 This revised 2015 Camry is a most welcome update. The extra rigidity opens new possibilities, and I was surprised to find myself telling friends that it was fun to drive. The Camry is not as fluid as a Mazda6 nor as slick as a Sonata, but now there’s actually some meat on the Camry’s bones, and it has the kind of refinement that make you good about driving it. Would that all Camrys on the road could be infused with these good vibes, but you have to start somewhere. 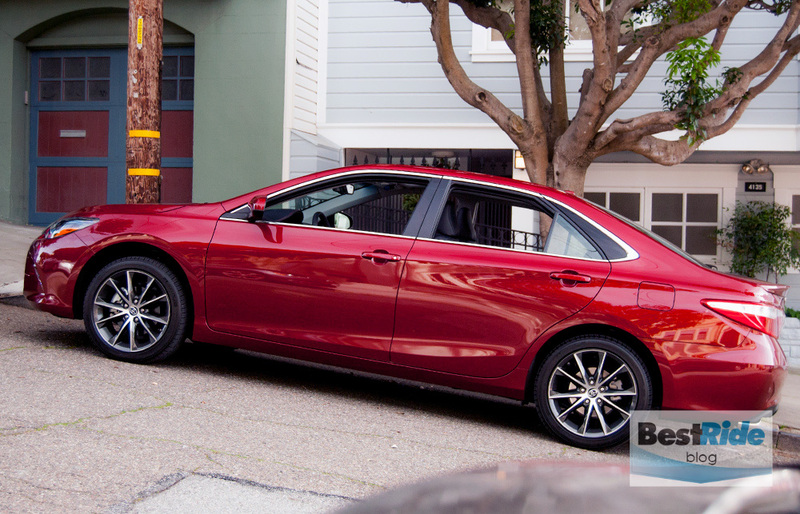 Does the Camry’s rep for blandness precede it?